Reduce costs and improve system performance with a Salt-Water Chlorinator system from Solarponics. See and feel the difference. 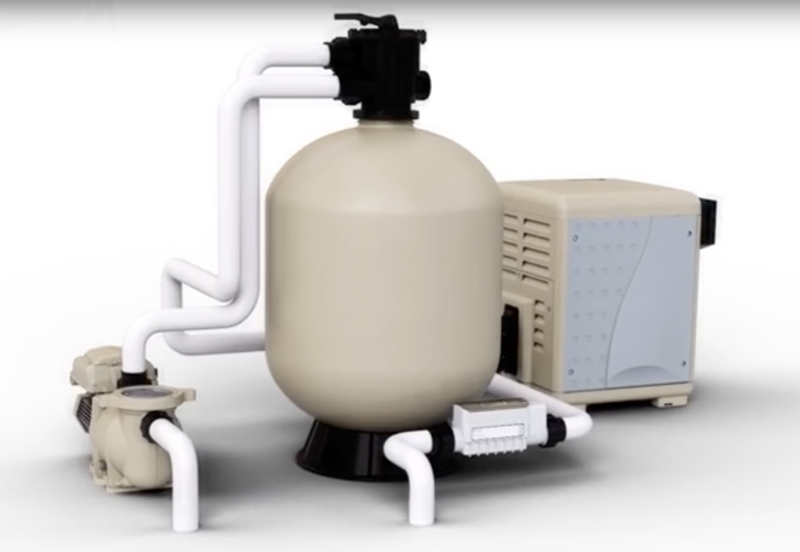 Converting your commercial swimming pool from a traditional chlorination system to a salt-water chlorination system is quite simple. A salt-water system delivers reduced maintenance, lowers cost, increases system performance and adds invaluable comfort for your guests. Solarponics commercial pool specialists can help design a system for maximum cost-savings and property benefit. Easy operation: Choose from one of five sanitizing levels, push the button and you’re done. Longer Cell Life: Automatic reverse cycling helps prevent scale buildup. Automation Ready: Our IntelliChlor system seamlessly interfaces with Pentair automation systems. Convenience: No need to buy, transport and store expensive chlorine compounds. Single-day install: No fuss. No muss. 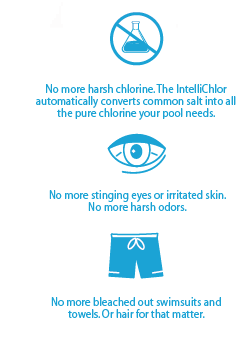 No Odor: Eliminates that harsh chlorine smell. Upgrade your pool pump to a variable speed pump and cut your energy use by 80%. Get a free quote.